Arlo has a number of new announcements at CES 2019, including finally bringing HomeKit support to its lineup of Arlo Pro 2 cams and the new Ultra 4K HDR wireless camera. For Apple users, HomeKit support will be the most exciting. Coming as a software update to existing Arlo Pro 2 users, video will now be available within Apple's Home app. Automation tasks and scenes can be integrated with other HomeKit devices, like turning on the lights when the camera detects motion. The cameras can also send rich notifications through iOS that give a preview image of the video. HomeKit support will be available to users later in January. Arlo Pro 2 isn't the only camera getting HomeKit support, as the new Arlo Ultra is as well. The Arlo Ultra is powered by the company's SmartHub with additional support for Zigbee and Z-Wave. It records video in 4K HDR with color night vision, 180-degree field of view, an integrated spotlight, and supports two-way audio with noise cancellation. Best Buy and Amazon will have the cameras in January 2019, starting at $399 which includes a one-year subscription to Arlo Smart Premier for smart people/vehicle/package detection and 30 days of video history. 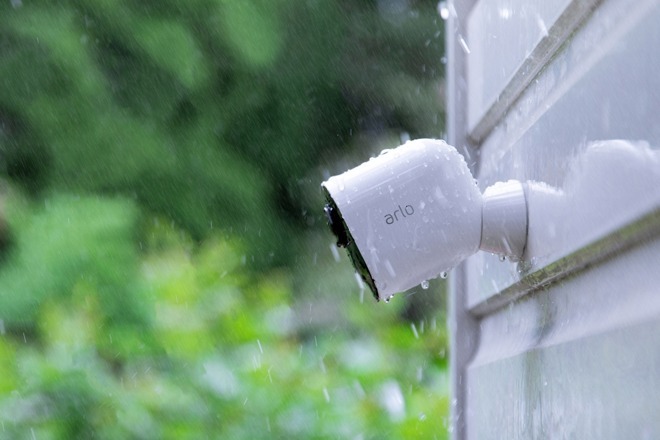 Outside of HomeKit and cameras, Arlo is announcing a new security solution. 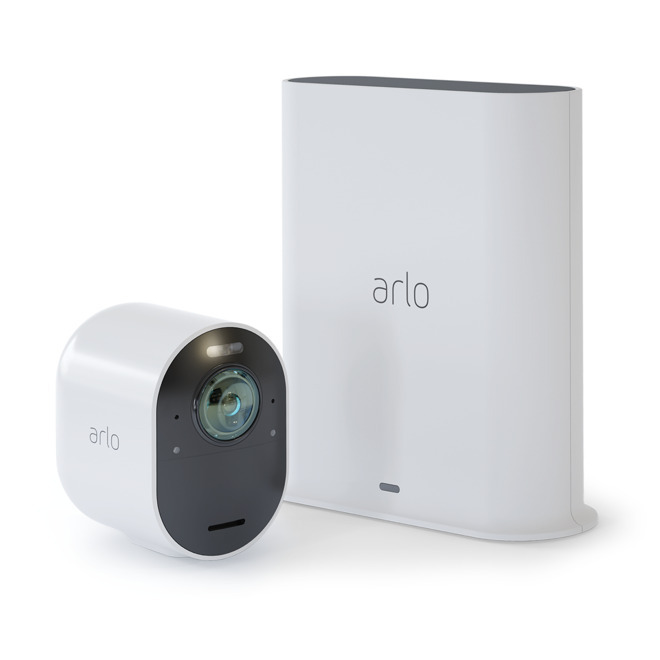 The new security system is designed to partner with Arlo's existing cameras and consists of a multi-sensor, remote, and siren. The Multi-Sensor detects windows and doors opening and closing, motion, smoke and carbon monoxide alarms, water leaks, temperature changes and more, negating the need for several different devices. The Arlo Siren -- which works in and outdoors -- has a loud siren and red strobe light to frighten intruders. Alternatively, different sounds like TV noise or a dog barking can play to make it seem as though people are home. Lastly, the Arlo Remote is used to arm and disarm the system without using the app. 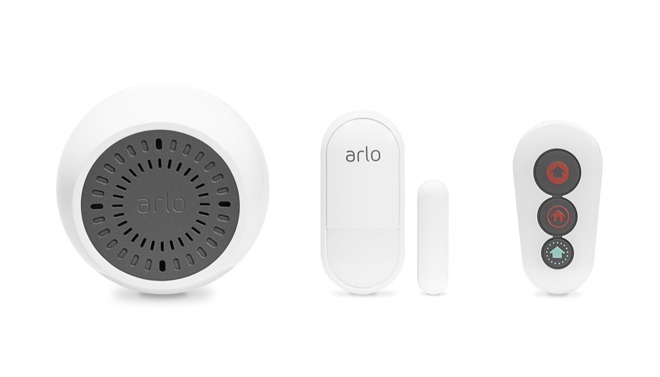 Two additional buttons can be configured to perform other actions like turning on lights or activating the Arlo Siren. The Arlo security system will start shipping in the second half of this year. Can someone find out if the original Arlo Pro cameras will be updated to support HomeKit or is it just the Pro 2 and Ultras?